Today, scientists use local and closed geospatial solutions to run their models and store their results. This may limit their ability to share their models, and results with other interested colleagues. This scenario is changing with the advent of new factors such as the rapid growth and rise of open source projects, or new paradigms promoted by government organizations to manage environmental data, such as Infrastructure for Spatial Information in the European Community (INSPIRE) directive, or the massive use of Web 2.0 techniques where users are looking for applications with a high degree of collaboration, interactiveness, and multimedia effects. 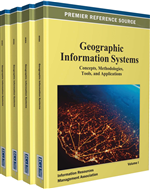 Many authors address the versatility of Spatial Data Infrastructures where resources are shared and accessed via standard service according to complex specifications. In this context, the authors point out the need to merge the traditional building and maintenance of these infrastructures, driven by official providers, with these more participative methodologies where users can participate in creating and integrating information. It seems necessary to develop new geospatial tools which integrate these new trends. This paper proposes a unified solution offering to the scientific field an open development framework, based on standards and philosophies focused on new technologies and scientific needs. One of the challenges we are facing today is to better understand the processes that occur over or near-surface of our planet (Goodchild, 2008). The Earth is a multi-dimensional system made of complex interactions highly interconnected and continuously evolving at many spatial and temporal scales (GEO Secretariat, 2007). This means that to understand such interactions, scientists and environmental experts need to collect and integrate different data sets referred to physical and biological aspects of the Earth (Giuliani et al., 2011). In addition, these data sets are often georeferenced, that is, they describe physical phenomena tied to a concrete geographical location in terms of points, lines and sets of polygons, and we refer to them as geospatial data. Scientists and environmental experts need to manage vast amounts of these geospatial data to turn them into meaningful information. The applicability of complex environmental processes and models has been the focus of intense research in this domain (Poch, Comas, Rodríguez-Roda, Sánchez-Marrè, & Cortés, 2004; Minsker et al., 2006; Reichert & Schuwirth, 2010). For instance, models for reduction of energy consumption, computation of atmospheric emissions, and simulation of forest fire require multidisciplinary teams of geospatial technologists and environmental experts. Such models, however, have been traditionally performed using multiple, isolated desktop geospatial tools: a specialist in Digital Elevation Models might perform slope computations while other colleague might apply remote sensing techniques over satellite imaginary to produce a snow cover product. In this simple example, various GIS software packages could be involved in the activities of a single environmental model. However, this paradigm of closed solutions, which operates with local data sets, provides a way of hiding shared results and collaborative research, and more often, hindering further analysis tasks. Better decisions and concrete actions at local and global scale to underpin sustainable development can be taken only based on precise knowledge of our environment (Lannotta, 2007). However, geospatial datasets, and other resources are often isolated, hidden to potential interesting stakeholders that could benefit from them. Therefore, the ease of access and retrieval of geospatial and environmental data is a key aspect for information infrastructures (Yang, Raskin, Goodchild, & Gahegan, 2010). There are consensus-based initiatives which aim is to promote interoperability, standards specifications, and seamless integration of services and information to improve this accessibility to geospatial resources (see next sections). However, the participation of users in these infrastructures has been delayed due to the complexity of current methodologies to participate and integrate new resources; the necessity of skills about how to incorporate real time data with historical, the use of standard services specification to deploy resources and promote interoperable resources, the integration of data from different domains, or simply looking for these data sources have become tedious tasks in current developments (Yang & Raskin, 2009). This makes scientists continue using traditional methods like local processing. The aim of this article is to present an open source-based framework that enables both: standard access and processing of data, and also the deployment of new content into geospatial information infrastructures. The processing and access of environmental data sets and the deployment and sharing of processing results will be addressed in this paper. All this, in the simplest way possible, through an immersive and user-friendly interface, based entirely on geospatial open source technologies.